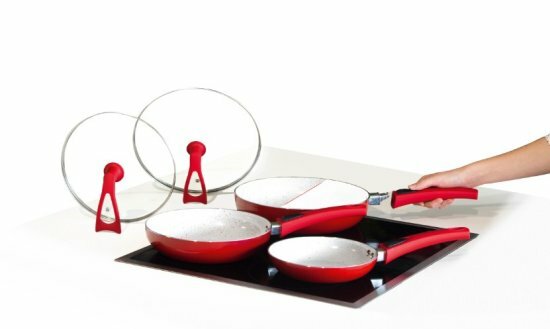 Set of pans with ceramic, non-stick coating, removable handles which you can remove with a single click, extra-high pan edges and a stand-up lids for easier and more pleasant cooking. No unnecessary waiting - For the first time, a pan shows when the optimal temperature is reached! 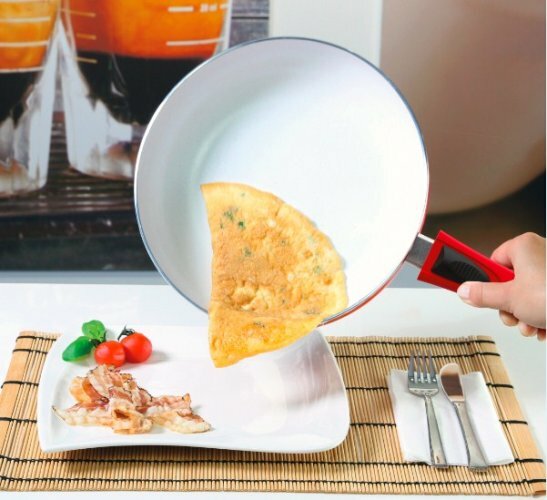 Saves time and energy - You will immediately know when the pan is hot – reduces cooking time to a minimum! Duo2Magic Premium combines the advantages of a high quality ceramic pan, such as fat-free cooking due to anti-stick technology, with energy-saving thermal ceramics – the newest cooking sensation! The pan shows when is heated! For the first time, your pan shows you exactly when it has reached the cooking temperature – the red dots in the pan lose their color when the pan gets warm. If the pan is bright white, it means that it is optimally heated and is at the perfect temperature for cooking, frying, steaming and stewing. 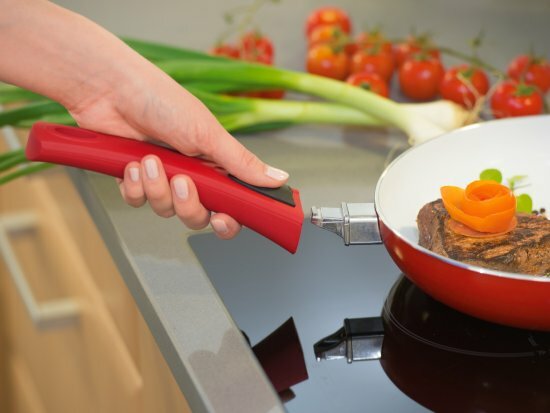 Heat conducting bottom for all cooktops! Duo2Magic Premium is also the first cooking system which saves you time and money. There are no unnecessary waiting times for the correct temperature and, therefore, no lost energy. Thanks to the heat conducting bottom, you can reduce the cooking temperature by 50%, thus allowing for further energy savings. High quality and convenient pans you'll love! 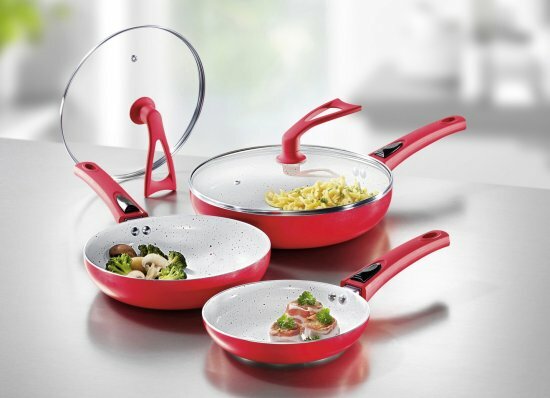 With the Duo2Magic Premium, you get a sensational high edge pan which allows you to cook for up to 6 people at a time! 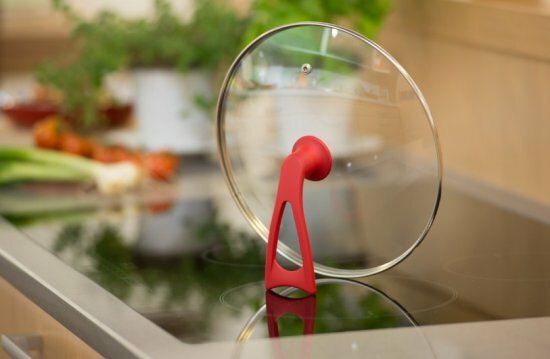 It has a removable handle, a stand-up glass lid with steam release valve, a heat-conducting bottom and is suitable for all cooktop types as well as being durable in the dishwasher.